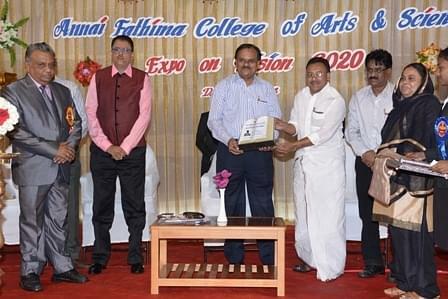 Annai Fathima College of Arts and Science has been started about one and a half decade back with the aim of providing quality education and to promote the humane values. At present the college has grown tremendously offering different undergraduate and postgraduate courses on various subjects apart from certificate courses and diploma courses. When utilizing the developments in the technology to make studies interesting, the institute always upheld the traditional values and thus trying their best to create good citizens. Why to join in the Annai Fathima College of Arts and Science? 1. Excellent Placement Opportunities- The College offers high end placement opportunities to the students. For this purpose, the college organizes Campus Interviews and groom the students to face interviews in the best possible manner. Some of the recruiters who have picked up students from this college are Taj Hotel Resorts and Palaces, Planet Holiday, Hyatt, Le Meridian, The Leela, Radisson and many more. 2. Awards Attained- The College has attained the award, “University with Potential for Excellence” that speaks volumes about the quality of education and facilities imparted to the students.